Google’s trademark was attacked by two individuals who claimed that the GOOGLE trademark was generic for the act of internet searching in the case of Elliott v. Google, Inc., No 15-15809 (9th Cir. 2017). The owner of a valid trademark can become the “victim of genericide,” which occurs when the public appropriates a trademark and uses it as a generic name for a type of goods or services regardless of the source. If this happens, as it did for ASPIRIN and THERMOS, the trademark owner can loose its rights in the mark. Here, the plaintiffs claimed that the public’s use of google as a verb, e.g. “I googled it,” showed that the trademark was generic. The plaintiff’s claimed that a word can only be used in a trademark sense when it is used as an adjective, e.g. “the Google search engine.” However, the Ninth Circuit held that verb use alone does not automatically constitute a generic use. Trademark lawyers often counsel their clients to use a trademark as an adjective and not as a noun or verb to avoid the possibility that the mark could be come generic. Here, though, the court says that more beyond verb use is needed to know whether a mark is generic for a type of good or service. Instead, to know if the public uses the mark as a generic name of a type of good or service, we need some information about what the consumer is thinking when they use the mark as a verb. Did the consumer mean the google search engine or any internet search engine when using google as a verb? The court found that there was insufficient evidence of what the customer/public was thinking when they used the term google as a verb. The court also found that a claim that a mark is generic must be made in relation to a good or service, not an act. Therefore the proper question was whether Google was generic for internet search engines. The question was not whether google was generic for the act of internet searching, as the plaintiffs asserted. While this case shows that use of a trademark as a verb is not conclusive evidence that a mark is generic, it is best to use and encourage others to use, as Google does, a trademark as an adjective, and not as a verb or a noun. Kingsford-Clorox owned the trademark Duraflame for artificial firelogs. Kingsford-Clorox decided to get out of the firelog business and wanted to write off the goodwill associated with the Duraflame mark for accounting purposes. So it published a notice in the Wall Street Journal announcing the abandonment of the Duraflame trademark effective on the date of publication. Two companies scrabbled to grab the Duraflame trademark, which resulted in the case of California Cedar Products Co. v. Pine Mountain Corp., 724 F.2d 827 (9th Cir. 1984). California Cedar won rights in the Duraflame mark because it was the first to use the Duraflame trademark after the mark was abandoned. When one company abandons a trademark, any other person or entity can grab the abandoned trademark through use or by filing an intent to use trademark application. The new person or entity picking up the trademark will receive a windfall of goodwill associated with that trademark. Assuming the trademark is associated with a favorable reputation, the new trademark owner will gain that goodwill for essentially no cost, other than the cost of using the mark to make a sale or render service. California Cedar acquired a windfall of goodwill associated with the Duraflame brand simply by being the first to use the mark after it was abandoned. Why not go around grabbing up abandoned brands? You can, but the difficulty is knowing for certain that trademark is abandoned. A trademark is abandoned if (1) its use in commerce has been discontinued (2) with no intent to resume use. The Lanham act provides “[n]onuse for 3 consecutive years shall be prima facie evidence of abandonment….” 15 U.S.C. § 1127. This means that after three years of nonuse there is a presumption that the mark has been abandoned. But, the trademark owner can rebut that presumption by presenting evidence that during the three years the owner formulated an intent to resume use of the trademark in commerce. Determining whether the the trademark owner has an intent to resume using the mark is difficult. This is why it is possible, but often risky, to attempt to resurrect a trademark mark that appears to no longer be in use. California Cedar Products Co. represents the easy case is where the trademark owner publicly announces the abandonment of the mark. However, this rarely happens. It is more common for a company or entity to stop taking action publicly, e.g. stop selling in retail, stop updating a website, stop attending tradeshows, etc. These things may indicate that the company has stopped using the mark. But you can’t be sure. These things do not tell you (1) whether the company has in fact stopped selling, maybe the company is still using the mark to serve at least one customer, or (2) whether the the owner has an intent to resume using the mark if the owner has actually stopped using the mark. Even when a company goes out of business or looks like it is out of business this is no guarantee that its trademarks are abandoned. If the trademark owner goes out of business, it is possible that the trademark owner could transfer its assets, including the trademark, to another company. That receiving company would then have rights in the mark as long as the gap in trademark use is not too long. Abandonment uncertainty is illustrated by the case of Specht v. Google, 758 F.Supp.2d 570 (N.D. Ill. 2010), aff’d, 747 F.3d 929 (7th Cir. 2014). As discussed in my prior post, Specht and his companies ADC and ADI abandoned the trademark rights in ANDRIOD DATA after ADI/ADC stopped using the Android Data mark in 2002 when ADI lost all of its customers and essentially went out of business. Google then picked up rights in ANDRIOD when it launched its mobile operating system in 2007. Google’s rollout of ANDROID in 2007 was somewhat risky because at the time ADI owned a federal registration over the mark ANDROID DATA, and ADI/ADC maintained a website at androiddata.com. The website did not offer any price information about the Android Data software and was mostly purposeless. These uses were not enough to keep ADC/ADI’s trademark rights alive. While Google was ultimately successful, Google did not know for sure that Specht and his companies had abandoned the ANDRIOD DATA trademark until Google obtained internal documents and information from Specht during the lawsuit. If the trademark owner goes into bankruptcy, the trademark and associated goodwill can be sold off to satisfy debts of the owner. The entity receiving the trademark as a result of bankruptcy will then have rights in the mark as long as the gap in use of the mark was not too long. You can gain a windfall of trademark goodwill by adopting an abandoned trademark. The problem is that it is usually difficult to determine whether the trademark is actually abandoned. A long passage of time may give an increased assurance of abandonment. However, to be sure the mark is abandoned, it is best to have an express statement of abandonment, as happened with the Duraflame trademark. Yet, this rarely happens. If an express statement of abandonment is not provided, then extensive due diligence is necessary to gain reasonable assurance of abandonment. As the abandonment standard considers the trademark owner’s intent to resume use of a trademark, reviving another’s trademark will likely carry some risk that abandonment has not occurred unless an express statement of abandonment is available. While picking up an abandoned mark can provide a windfall to the new trademark owner, the uncertainty of abandonment is a risk that may offset some of the windfall benefit. “‘PLAYERS’ for shoes implies a fit, style, color and durability adapted to outdoor activities. ‘PLAYERS’ for men’s underwear implies something else, primarily indoors in nature.” – Trademark Trial and Appeals Board. British Bulldog Ltd. applied to register the trademark PLAYERS on the goods of men’s underwear. The trademark examiner refused to register the mark claiming that it conflicted with a previously registered mark PLAYERS for the goods of shoes. But the appeals board overturned the refusal and found that there was no likelihood of confusion between the marks in the case of In re British Bulldog, Ltd., 224 U.S.P.Q. 854 (TTAB 1980). How could identical marks not be in conflict when used on items that a person wears, e.g. underwear and shoes? Was it because the goods of underwear are so different from shoes that consumers would not expect a source of underwear to also be a source of shoes? No. The Trademark Trial and Appeals Board noted several previous cases where a conflict was found when the same or similar marks were used by different parties in connection with shoes and with items of clothing. “PLAYERS” for shoes implies a fit, style, color and durability adapted to outdoor activities. “PLAYERS” for men’s underwear implies something else, primarily indoors in nature. The Board described this a “close case.” Yet, the differing meanings played an important roll in the result. But, in other cases a conflict was found where there was a lack of meaning-contextual difference. For example, a conflict was found between two users of INGENUE, one for shoes and the other for women’s undergarments. General Shoe Corp. v. Hollywood-Maxwell Co., 47 C.C.P.A. 933 (CCPA 1960). Therefore, when considering the similarities of the marks in response to a trademark cease and desist letter, you should consider whether the marks have distinctly different meanings in relation to the goods/services that they are used on. Different meanings will not always save you from a conflict as noted by the fact that the Board called the Players case a close case, but it is one area worth investigating that could be successful. Capital City Bank filed a trademark application on its name “Capital City Bank” for banking services without a logo or special form claim. 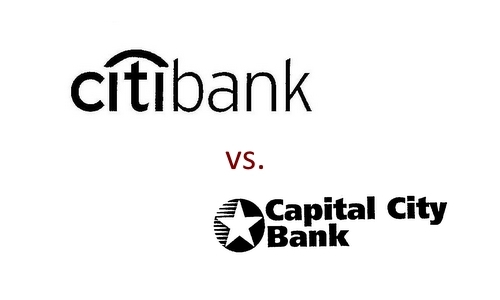 Citigroup filed an opposition based on its Citibank trademarks. Citibank presented evidence that the Citibank brand was one of the most valuable brands in the world. But, Citigroup lost. When there was a clear over lap of “City Bank” and “CitiBank” between the marks, how could one of the most valuable brands loose? The problem was that the court concluded that the marks were not similar for trademark infringement purposes. Not similar? Not similar enough in Citigroup Inc. v. Capital City Bank Group, Inc., 637 F.3d 1344 (Fed. Cir. 2011). 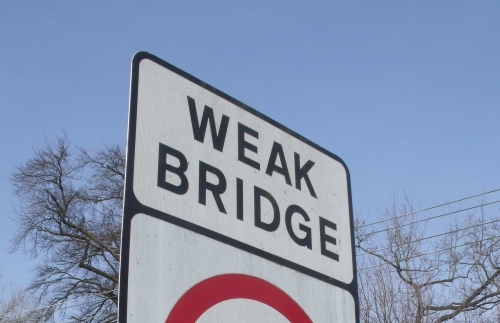 Many times slight spelling differences between marks do not avoid a conflict. However, here many third parties used “city” and “bank” for financial services. In another case, a court noted evidence of 20 other banks that used City and Bank. So, the Citigroup’s right to stop the use of phonically equivalent words was cut off by preexisting third party uses. Not a good admission for Citigroup. You can’t, on one hand, say that the use of “city bank” in “Capital City Bank” is confusing while at the same time saying that you have long coexisted with other using “city” for financial services business. Therefore in this case the “i” vs. the “y” spelling made a difference. Yet many times it will not. Like in the case where the refusal to register XCEED was upheld based on the phonically equivalent preexisting registered mark X-SEED used on the same goods. In re Viterra Inc., 671 F.3d 1358 (Fed. Cir. 2012). Back to the Citigroup case, the phrase “Capital Bank” was found to be the dominate part of Capital City Bank’s mark given the weak nature of Citigroup’s mark. What can we learn from the Citigroup case? We learn that sometimes marks that at first glance appear to be similar, are not similar for trademark infringement purposes. If many third parties had not been using “city bank” for financial services, Citigroup might have prevailed. When the overlapping terms between the marks are commonly used in the industry, the marks might not be found to be similar for trademark infringement purposes. When marks are considered dissimilar, you have a better chance of defending against a trademark infringement claim. Frederic Towers began using the term “The Professional Portfolio System” in November 1982 for a computer-based portfolio valuation system. Advent Software obtained a registration for the term “The Professional Portfolio” for computer programs used in the field of financial management. Advent first used the term in December 1983, more than one year after Towers’ first use. Towers petitioned to cancel Advent’s trademark based on the similarities of the marks and the similarities of the goods, but lost. Usually rights to use a mark go to the person or entity that first started using the mark in commerce. Here, Towers was first. Because Towers’ mark was descriptive and therefore weak. This is the result in the case of Towers v. Advent Software, Inc., 913 F.2d 942 (Fed. Cir. 1990). Not all trademarks are created with equal strength. Descriptive marks are weak, at least initially. A mark is merely descriptive if it describes an ingredient, quality, characteristic, function, feature, purpose or use of the corresponding goods or services. The court found that Tower’s mark was essentially the generic term “portfolio valuation system” with the addition of the word “professional.” The term “portfolio system” described what the Tower’s software was used for, e.g. to manage a portfolio. The absence of the term “valuation” from the mark did not prevent Tower’s mark from being descriptive. And the word “professional” conveyed information immediately to the purchaser that the product possesses professional capabilities. Therefore, the mark described directly characteristics and features of the product. The court found that Tower’s did not have superior rights in the mark even though Towers’ used his mark first. Over time a trademark owner might be able to generate trademark rights in a descriptive mark, if the mark gains recognition (i.e. acquired distinctiveness or secondary meaning) with the purchasing public. But Towers did not show this. Therefore, if a plaintiff demands you stop using your mark, and that plaintiff started using the mark before you, you might be able to defend by asserting that the plaintiff’s mark is descriptive and therefore weak. Evaluating whether the mark is descriptive involves understanding the goods or services that the mark is used on, and comparing the elements of the mark to those goods or services to see if the elements of the mark describe an ingredient, quality, characteristic, function, feature, purpose or use of the corresponding goods or services. It also involves determining how long the plaintiff has used its mark and whether the mark has gained recognition with the purchasing public as a source of the plaintiff’s goods/services. Domino is a trademark for and a brand of sugar. Sugar is a type of food. Domino’s Pizza is a trademark for a pizza restaurant chain. Pizza is a food. Amstar, which owned the Domino sugar brand at the time, sued Domino’s Pizza alleging trademark infringement over the use of the term Dominos. But Amstar lost. Why? Similarity of the marks and similarity of the goods is usually a good start to making a strong case of trademark infringement. Here, there was a similarity between the marks, e.g. “Domino.” And, there was an arguably similarity between the goods, e.g. food. Yet, Amster lost because, in part, the Domino mark was weak in relation to food generally. Why was the “Domino” mark weak? It was weak because many other companies used Domino on other types of food. I previously discuss factors to consider for selecting a strong trademark. Another factor in trademark strength is whether many others are using the same or similar mark in the marketplace for the same or similar goods or services. When many third parties are using the mark on similar goods, that mark will be considered a weak mark. 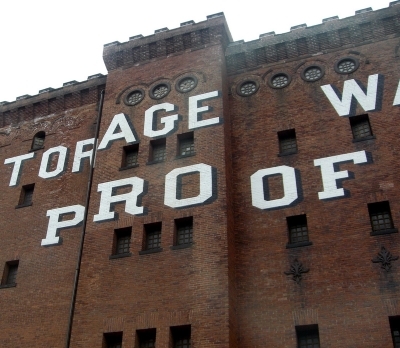 Weak marks are provided a narrow scope of protection. In the case of Amstar Corp. v. Domino’s Pizza, Inc., 615 F.2d 252, 259 (5th Cir. 1980), Domino’s Pizza showed that there were 72 other trademark registrations of the term “Domino” at the U.S. Patent and Trademark Office. Some of those registration involved foods, such as canned fruits, cheese, wheat flour, canned sardines, and candy. Domino’s Pizza also introduced evidence of 15 uses of marks that included “Dominos” in the marketplace by other companies, including uses related to food and grocery stores. Therefore Amstar’s trademark rights to Domino did not extend to any food but was confined to sugars. 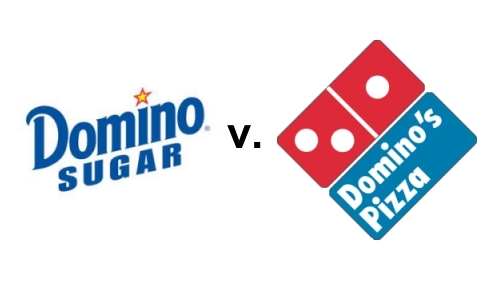 The court concluded limited strength and protection outside of its sugar goods was an important factor in determining that Domino’s Pizza’s use of the term “Domino” did not constitute trademark infringement. Therefore, when you are on the receiving side of a trademark cease and desist letter, you should be searching to see if there are other similar registered marks used for similar goods. You can do that by searching the USPTO trademark database. You should also search for third party uses in the marketplace of the same or similar marks for the same or similar goods. You can do that by any method of searching the market, e.g. search the internet. The more third party uses the better. But, you don’t need to find 72 registrations, even a handful can be effective depending on the circumstance. Finding that multiple third parties have registrations or uses in the marketplace for the same or similar mark with the same or similar goods, may be a basis to assert that the plaintiff’s trademark rights are weak. If the trademark rights are weak, it may be that the differences in the goods/services are sufficient to conclude there is no trademark infringement, as was the case for Domino’s Pizza. Daniel Group obtained a federal registration on service mark “ServicePerformance.” But Daniel Group failed when it demanded and then sued claiming trademark infringement to stop Service Performance Group from using that name for similar services. Why did it fail? Because the Daniel Group was not first to use the words “Service Performance” in business for its services. Service Performance Group began using its name 9 years before Daniel Group received its federal trademark registration. Daniel Group did not have “priority of use.” So its trademark claim failed even though it had a federal registration and Service Performance Group did not (the space vs. no space between Service and Performance had no impact in this case). A federal trademark registration is not bullet proof against prior users. This is the case of Daniel Group v. Serv. Performance Group, Inc., 753 F. Supp. 2d 541 (E.D. NC 2010). The court there stated the rule that it is not registration of the mark, but the “actually use of the designation as a mark that creates rights….Neither application for, nor registration of, a mark at the federal level wipes out the prior non registered, common law rights of others.” McCarthy on Trademarks 16:1 (citing Johnny Blastoff, Inc. v. Los Angeles Rams Football Co., 188 F.3d 427 (7th Cir. 1999)). If you receive a cease and desist letter claiming trademark infringement, one basis to defend is that you used the mark before the plaintiff used the mark. 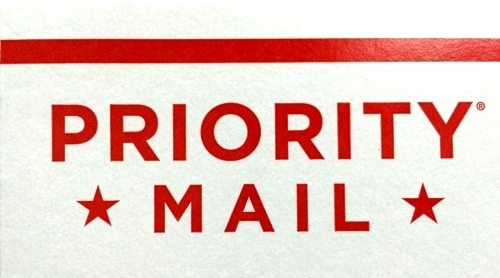 Priority of use provides that the party that first starts using the mark usually wins. Priority can be established by actually use or by filing an intent-to-use trademark application (constructive use). So if you started using the mark before the plaintiff, then the plaintiff may not have the right to stop you from continuing to use the mark in your geographic area. However, if you have not applied to register your mark and the plaintiff has, the plaintiff may not stop you from using the mark in your geographic area, but your right to expand sales geographically may be limited. How do you know what date Plaintiffs cease and desist letter may state the date that the Plaintiff first started using the mark? If the Plaintiff has a federal registration, the federal registration will provide a first use date. If the plaintiff’s federal registration resulted from an intent-to-use application you will look to see the filing date of the application as the constructive first use date. Can also look for general evidence of use by date. For example, you can search the Internet Archive to see if the Plaintiff’s website on a certain date shows a use of the trademark. If the Plaintiff has a Facebook page, you can view the Facebook page to find posts having the mark and look to the date of the post (but the user can modify the date of a post). The Plaintiff’s lack of priority of use, or “I started using the mark before you,” is one way to defend against claims of trademark infringement. Prove it! The specimen requirement in a federal trademark application is the government’s way of saying “you said you are using the mark, now prove it.” The USPTO requires that you submit a specimen showing the mark as it is used on or with the goods or services at some point in the trademark application process. The specimen is simply an example of how the mark is used. The specimen requirements for goods are different from the specimen requirements for services. For goods, the specimen must show the mark on (1) the goods, (2) containers or the displays associated with the goods, or (3) the tags or labels affixed to the goods. Trademark Manual of Examining Procedure (TMEP) 904.03. Containers associated with the goods can be the retail packaging or shipping packaging showing the mark. Displays associated with the goods can include trade show displays or retail displays or the like. One way to obtain is specimen is to take a photo of the mark used in the manner just described. If due to the nature of the goods placement in the manner just described is impracticable, then the specimen showing the mark on documents associated with the goods or their sale. One example of this is the sale of computer programs that are sold via electronic download. In that case, an acceptable specimen might be a printout of a display screen that creates an association between the mark and software and provides sufficient information to enable the user to download or purchase the software from the webpage having the mark. TMEP 904.03(i). Advertising material is not generally acceptable as a specimen for goods. TMEP 904.04(b). So showing the mark used on a website having the goods, is not enough, unless in some cases, the website provides a manner were the user can purchase the goods via the webpage and the mark is associated with the goods on that webpage. TMEP 904.03(i). For services, advertising material that shows the mark and advertises the claimed services is an acceptable specimen. TMEP 1301.04. It is important that the specimen show the services listed in the trademark application. If all of the services listed in the application are not shown in one specimen, then multiple specimens can be used to show all the services. Examples of advertising include webpages, brochures, print advertising, etc. It is also acceptable to use materials showing the mark used or displayed as a service mark in the sale of the services, which includes use of the mark in the course of rendering or performing the services. The specimen must show the mark as claimed in the mark section of the trademark application. If the application provides a special form mark, then the specimen must show the mark in substantially the same manner as provided in the image uploaded in special form mark section of the application. TMEP 807.12. When is a Specimen Required? A specimen is required at the time of filing for a section 1(a) use-based application. The specimen is required later at the time of filing a statement of use after the trademark application is allowed for a section 1(b) intent to use application. This make sense because in a use-application you are saying that you are using the mark at the time the application is filed. Therefore you should be able to provide proof of use (e.g. the specimen) at the time of filing. But for a section 1(b) intent to use application, you are saying that you are not using the mark now at the time of filing but intend to use it later. Therefore, when you later start using it, that is the time the government requires that you provide proof. Photo credit to Frank Hebbert under this creative commons license. The photo shown here is changed to crop in tighter on “proof” than is provided in the original photo. If during preliminary trademark searching you find a mark that is registered at the U.S. Patent and Trademark Office, you may wonder whether that will block your ability to obtain a trademark registration or to use your trademark with your particular goods and services. If the goods or services provided under the registered mark are sufficiently different from the goods or services that you intend to provide under your mark, then there might not be a conflict between the registered mark and your proposed mark. Trademark rights usually don’t extend to all goods and services. But instead trademark rights extend to the goods and services for which the mark is registered or used and similar goods and services. There is an exception to this rule for famous marks, such as McDonald’s or Nike. Famous marks have a broader protection that guards against uses by others even in very different fields. Therefore even though Nike provides athletic gear you cannot start a software company using the Nike mark because it will dilute Nike’s famous brand. An unrelated company, Toyota, owns the mark LEXUS for automobiles. LEXIS and LEXUS are very similar in sound and appearance, differing only by one letter. However, the differences in the services/goods provided by the respective owners is substantial. An argument can be made that consumers don’t–or at least at the time these marks were first used–consumers didn’t expect a company that provides legal information services to also make cars. This may be changing as cars have more consumer electronics and data integration. But at the time these marks were first used, the service/goods were sufficiently different to avoid a conflict. Therefore, in certain circumstances similar or even identical marks can co-exist when they are used on goods/services that are sufficiently different. On the other hand, whether there is a conflict between two marks considers, at least in part, focusing on the similarities and does not require that the marks or the goods/services be identical to find a conflict. If Toyota did not provide cars under the LEXUS mark, but instead provided legal information services, then the services provided under each mark would be similar. It is unlikely that the difference of an “I” in LEXIS and an “U” in LEXUS would avoid a conflict in that circumstance. There are many instances where a consumer might encounter the mark spoken orally, such as in a radio advertisement or in an discussion among customers. Therefore, all other things being equal, small differences in the marks, which create substantially the same sound when pronounced, are unlikely to avoid a conflict when the goods/services are similar. Determining whether there is a conflict between marks is very circumstance dependent and often involves the weighing of several factors. However, merely finding a similar or even the same mark registered at the USPTO does not necessarily mean you are blocked from using that mark on different goods or services. Sometimes it does, sometimes it doesn’t. Check with an attorney for guidance on your circumstance.